This is a sponsored post written by me on behalf of Seattle’s Best Coffee® for SponsoredTweets. All opinions are 100% mine. Note: The amount of ingredients above will vary depending on the size of cup you are using. The above recipe is good for about (1) 8 oz. glass. Start by brewing your coffee as normal. I used Seattle’s Best Coffee® level 4 which is a medium-dark roast. 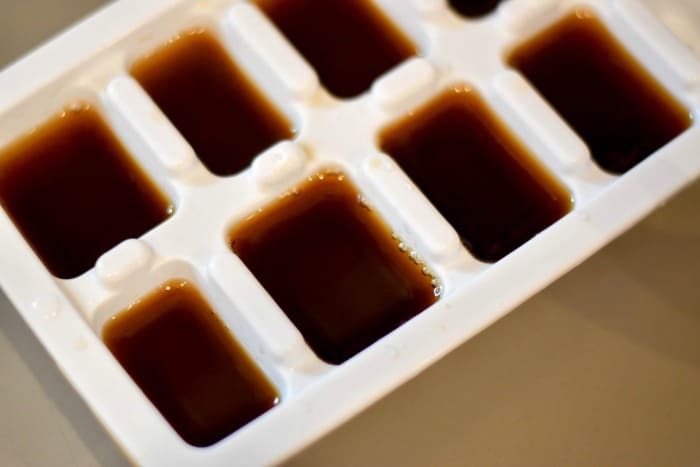 Once your coffee is brewed, pour some of the coffee into your ice cube mold and place into freezer. By doing this, it allows your coffee to not get watered down as the ice melts, brilliant right? 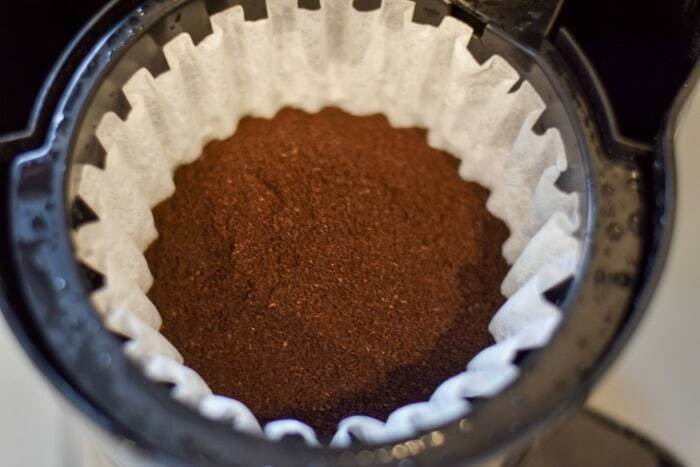 Pour the remaining amount of coffee into a separate container and place into the fridge. Allow this to cool. 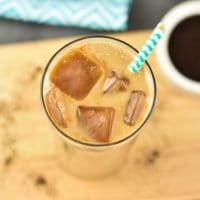 Once your coffee has cooled and the ice cubes are frozen, it’s time to assemble your coffee! Start by adding several ice cubes into a cup. 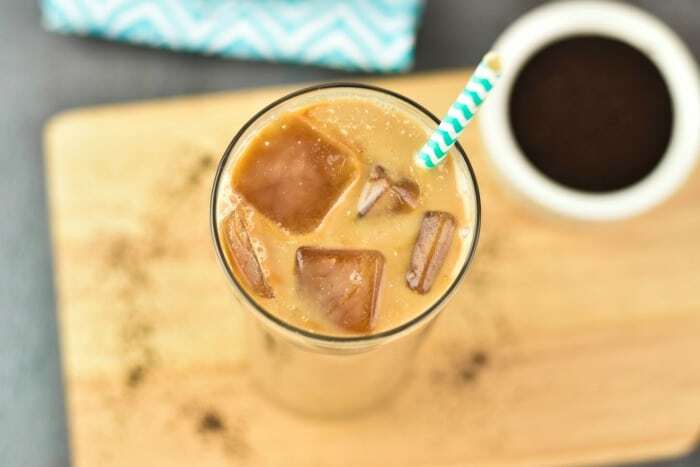 Next, add the butter rum syrup, cold coffee and sweetened condensed milk. Stir well. 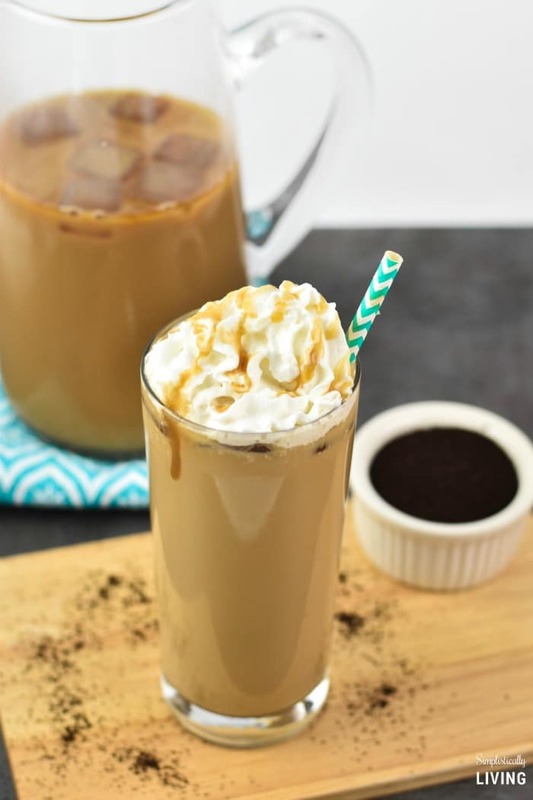 You can drink it as-is or top it off with some whipped cream and caramel. I like to think that a happy day and coffee go hand-in-hand. Can you imagine a day without your favorite cup of joe? I know I sure can’t! It is the perfect start to my day and helps get the creative juices flowing (which is so important since I work from home). However, I have to say that not all coffee is created equal. Often you get what you pay for but it doesn’t mean your coffee has to break the bank either! Everybody is looking for those things in life that are great deal. There are quality items for a lower price you just have to know the secret. I’ll admit that I used to be one to get the cheapest coffee or whatever was on sale. Until, one day I had the chance to try a coffee that was both affordable and truly delicious. That coffee was Seattle’s Best Coffee®. I recently made a trip to my local Kroger owned store (Smith’s) and found Seattle’s Best Coffee®. They had several flavors and roasts to chose from. I ultimately landed on the level 4 roast. You see, my husband likes his coffee extra dark and I don’t as the flavor is a bit too harsh for me. With Seattle’s Best Coffee®, even being a darker coffee, it was so smooth but yet bold enough for my husband. Total win if you ask me! Plus, the price is great! It isn’t an overpriced bag of coffee, in fact it’s less than paying for a a single cup of coffee at your local coffee shop. You can even choose between grounds or K-cups. So what are you waiting for? Head to your local grocer and pick up your bag (or box) of Seattle’s Best Coffee® you’ll love the variety and taste. 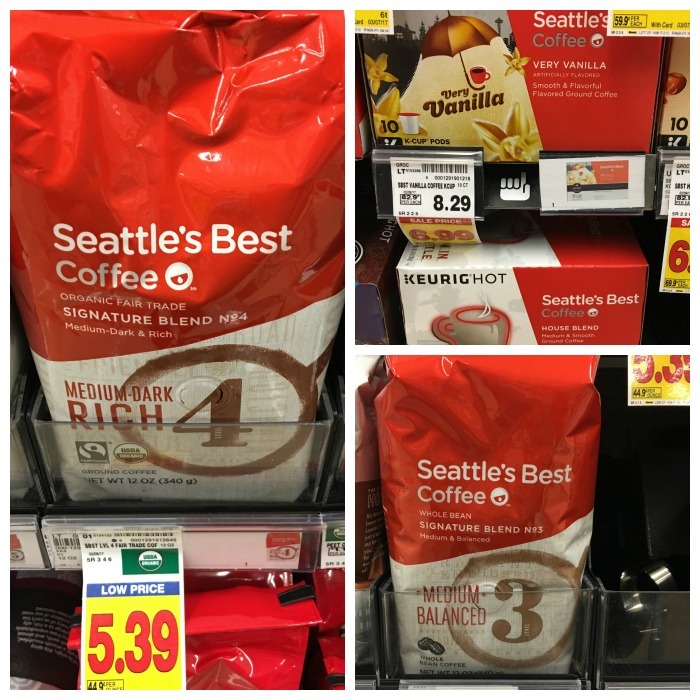 You can Discover Seattle’s Best Coffee at Kroger and Discover Seattle’s Best Coffee at Walmart. Enjoy!